December | 2009 | Shelf Elf: read, write, rave. So here is my list of awards for best books read in 2009. (Note: not all of these titles were published in 2009. That’s just when I read them). 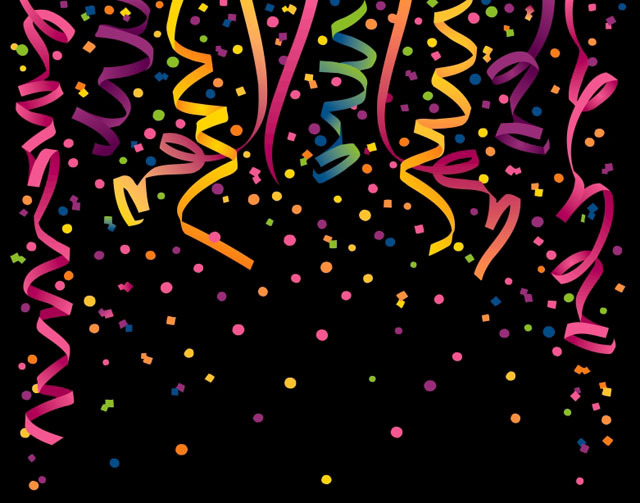 This entry was posted in Just Cool, Lists & Links and tagged Lists & Links on December 31, 2009 by shelfelf. Hold Still might not seem like the world’s cheeriest title to read on the eve of a brand spanking New Year full of promise. At least, you won’t think so as soon as I tell you what it’s about. But before I do, let me promise that Hold Still is not a weigh-you-down, five-tissue-weepie book. It is sad, for sure, but it is more hopeful than depressing, and it proves Nina LaCour is a new writer to watch. I’ll start off by saying that I had the chance to read this book over the summer, when I first saw the ARC at the bookstore. I didn’t. It was one of those pick-it-up, read the back, put-it-down ARC experiences. Books about teen suicide really turn me off. That must seem like the most obvious of statements, because it’s hard to imagine a person who would find the topic a draw. But obviously lots of teen readers want to read books about suicide, ’cause there are plenty of them out there. It’s not so much the sadness of the subject matter that makes me disinterested (I read lots of sad books – I can take it). It’s that I find many authors treat the topic in a completely predictable, and often really superficial way. Suicide is sad. Really, really sad. I don’t need a mediocre book to reveal this as news to me. So I judged Hold Still as another book “like that” and I didn’t look twice at it. Enter Little Willow, gushing about Hold Still. Now that’s something that gets my attention. The author succeeds in conveying Caitlin’s paralysis after her friend’s death, and explores what it’s like inside the head of someone who has been left behind through a suicide. Using entries from Ingrid’s journal throughout the book made this character a real presence in the narrative, and she came through as vividly as Caitlin, which will help readers to appreciate more deeply Caitlin’s loss and questions. I liked that the process of Caitlin reentering the world and needing to make connections with people really evolved in a convincing way. The novel doesn’t end with a feeling that everything is all better now, and that life goes on towards a rosy future. It’s not so simple. 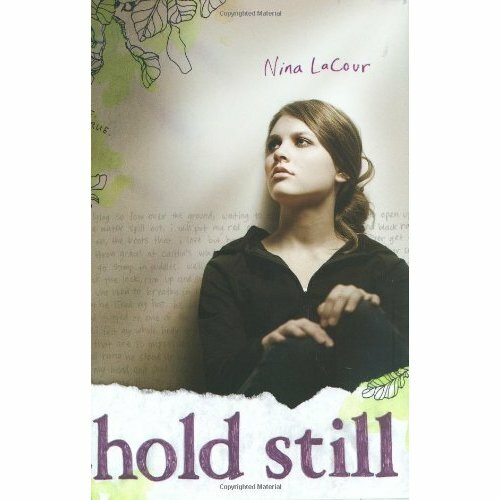 In Hold Still, Nina LaCour explores how a girl rebuilds her life when loss breaks everything apart, as she learns that letting go doesn’t mean forgetting forever, it’s just how life continues. This is a novel that will inspire discussion, and could be one part of an interesting trio for bookclubs if combined with Wintergirls (Laurie Halse Anderson) and 13 Reasons Why (Jay Asher). Hold Still is published by Dutton. 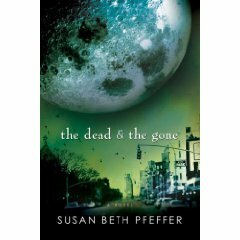 This entry was posted in Debut, Teen/YA on December 30, 2009 by shelfelf. I read the first Alvin Ho book last year, as it was one of the finalists for the 2008 Middle Grade Cybils Award. 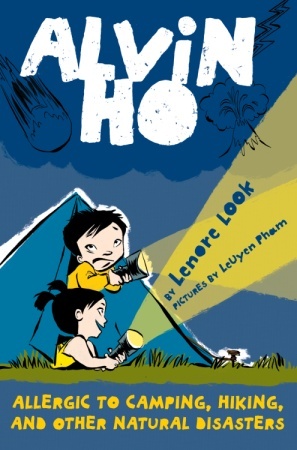 It was a hoot in every way and it guaranteed that I would be picking up Lenore Look’s next Alvin adventure. The second in the series, Alvin Ho: Allergic to Camping, Hiking, and Other Natural Disasters is (dare I say it), even funnier than and every bit as clever and charming as its predecessor. I started reading it yesterday morning while sipping tea in my sunshiney living room and I kept on reading straight through until I finished it. It is a complete delight and it makes me hope for many more tales about the uproarious Alvin Ho. Alvin is still pretty freaked out by the world in general at the beginning of this second book. This is why things do not look good when his dad proposes that they go on a father/son camping trip. His dad thinks it will give Alvin confidence, and make him less afraid of the woods and the great outdoors. Alvin thinks not so much. The novel follows Alvin as he tries to avoid the trip, prepare for the trip and survive the trip. One of the many impressive things about this slim book is Lenore Look’s gift for characterization. She can reveal a great deal about her characters in a single phrase. For instance, Alvin describes Anibelly, his little baby sister, as “a stoplight in the middle of my life” because she’s always right there in the middle of things whenever he needs to just keep moving. The secondary characters – Alvin’s dad and his Uncle Dennis and Anibelly – all come through as complex and fully believable people in the story. The voice is outstanding, and while Alvin is certainly precocious, he’s convincing for his age. LeUyen Pham’s black and white illustrations add a great deal to the madcap feel of the narrative and bring the characters to life perfectly. This is charming, clever and heartwarming hilarity perfect for precocious readers everywhere. (Adults included). Alvin Ho: Allergic to Camping, Hiking, and Other Natural Disasters is published by Schwartz & Wade Books. This entry was posted in Cute as all get-out, Early Chapter Books, Illustration, Middle Grade on December 29, 2009 by shelfelf. I like road trips. A lot. I like planning them. I like charting our progress (obsessively) on the almost-torn map from the glove compartment. I like the long stretches of no conversation, the McD’s french fry stops, the bag o’ CDs that I bring along because I am always the DJ. I even like the way my body eventually cramps up from hours of slouching in the passenger seat until I am certain I will never be straight again, and the exhausted, painful stretch of getting out of the car at the end of it all. I like how almost all road trips seem destined to become stories. Perhaps these are reasons why road trip books make me happy. Maybe because I knew I would have some minor road tripping to do over the holidays, I read two road trip stories this past week that have been on my TBR list for way too long. You should read them too, if you haven’t already (but read my reviews first). 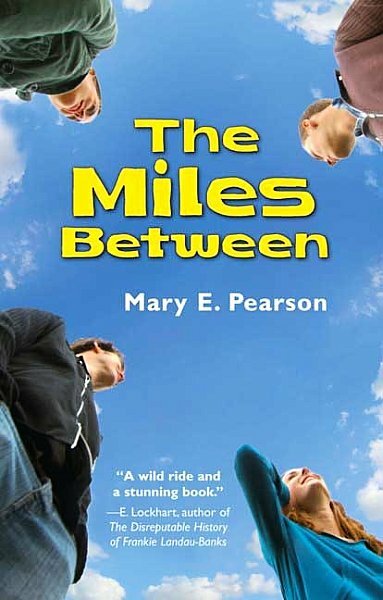 The Miles Between has a lot to satisfy Mary Pearson’s fans. In many ways, it’s a very different book from The Adoration of Jenna Fox, most obviously because it’s realistic, not sci-fi, and isn’t an edge-of-your-seat type of read the way Jenna Fox was for me. However, there are aspects of The Miles Between that reminded me of Jenna Fox. Both books feature strong – but damaged – central characters, and both books make you think about the ways people know each other and connect to each other, and in both stories, Mary Pearson proves she has a real talent for revealing just a little bit at a time about a character, making you intensely curious to learn more. Destiny Faraday lives by one rule: Don’t get attached. She has reasons for keeping everyone at a distance, and she prides herself on being an excellent observer of those around her, watching rather than making connections with others. She feels like she knows everything about her classmates at Hedgebrook Academy. She thinks she has everyone all figured out. Then on October 19th, a day that holds particular and mysterious significance for Destiny, she ends up on a road trip with three of her classmates. It’s a journey where chance and fate are difficult to separate, and with a destination that takes all of the passengers by surprise. I liked that this road trip started off because of an encounter that Destiny has with a mysterious stranger. It added a possible element of fantasy to the story that intrigued me, a sense of whimsy that threaded through the rest of the narrative. I was immediately curious about Destiny. I wanted to find out more about her past, the reasons for her self-isolation, and her desire for one completely fair day. This story will make you think about how people form relationships, the role of chance in life, how life is just not fair a lot of the time, and how so many of the things that matter are not in our power to change. While this story is dark in places, and sad too, it is also funny and quirky and light. I have to be in the right mood for John Green. He’s just so darn clever that sometimes, I can’t take it. (Is it possible to be too clever? Sometimes I think John Green is too clever). So I was putting off Paper Towns for the right mood, and moment. I needed to be in a place where I had a high tolerance for clever. I’m sure glad that I didn’t put this book off for good, because it is good. Really, really good. This book made me realize that yes, John Green is super clever, but it also made me aware that John Green is a seriously talented, for real writer. An artist, you might say. Paper Towns is a story that will make you think about the power of leaving a place you’ve known for a long time. It will make you want to go on a road trip with your best friends. It will make you wonder if you really do know your friends as well as you think you do. It will make you really, really want John Green to hurry up and finish writing the screenplay because you know what a great film this story will become. Paper Towns catches Quentin Jacobsen just before he graduates from High School, poised for big changes, and still super-in-love with his wildly adventurous next door neighbor, Margo Roth Spiegelman. After one crazy night when he and Margo wreak a little havoc all over town, Quentin feels like things will finally happen between him and Margo. The very next day, Margo disappears. Everyone else thinks that Margo is just off on another one of her adventures, being Margo. Quentin cannot get over her and he won’t accept that she’s moved on. He has to find her and so he starts looking for clues. When he finds them, he begins a confusing and complicated journey towards the girl he thought he knew. This story is about understanding people, really about understanding that we cannot know someone, even when we are very sure that we do. It’s about how in love, we idealize others and then if we’re lucky, when we realize that we’ve done exactly that, we still love the person, maybe even more than before. Quentin is a fabulous, ordinary hero, and Margo is like the coolest girl you’ve ever known or imagined. You’ll picture their lives going on after this book ends. In my mind, Paper Towns has so much of what makes me love to read. It made me think about human connectedness, and sadness, and how friendship usually save us in the end. I laughed. There are scenes from Quentin’s road trip with his friends that will stay in my reader brain for a really long time. For me, Paper Towns may just be the road trip story to beat. Both The Miles Between and Paper Towns will surprise you, entertain you, and ultimately satisfy you – like the best road trips you’ve known. The Miles Between by Mary E. Pearson is published by Henry Holt. 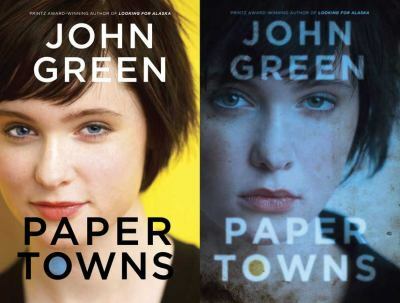 Paper Towns by John Green is published by Dutton. This entry was posted in Teen/YA on December 26, 2009 by shelfelf. 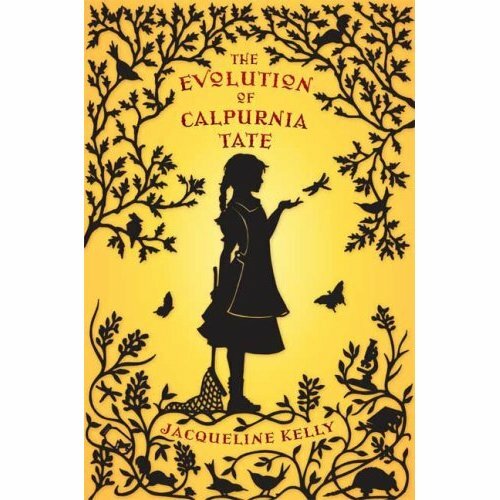 The Evolution of Calpurnia Tate, by Jacqueline Kelly is certainly one of the best books I’ve read this year. It really got me. It’s not a sad book, but there is something about this story and the central character that made me feel full of emotion when I turned the last page. It is a story to make you feel full, that’s for sure, as you’ll be spoiled by the language and the attention to detail in characterization. After reading reviews from some of my favourite bloggers (like this one, and this one), I bought a copy a few months back, but I’ve been saving it for my holiday to enjoy every page properly. And there is so, so much to enjoy in this novel. It would be a crime to read it quickly. The Evolution of Calpurnia Tate is the story of eleven-year-old Calpurnia (Callie Vee), the only girl in a family of seven children. It’s 1899, and Callie is a thinker and a dreamer – qualities not exactly practical for a girl growing up at this time in a sleepy Texas town. She knows her own mind, and she likes to investigate things. After being given a notebook by her beloved older brother, Callie befriends her eccentric and forbidding grandfather and he teaches Callie how to become a naturalist. The two study the natural world around their home, and in the process, Callie builds a close relationship with her granddaddy and discovers her true passion for science. I’ve read a few reviews in which the reviewers comment that they found the book slow in places, particularly at the beginning, and they also wondered about the intended audience of the book. I did not find it at all slow. 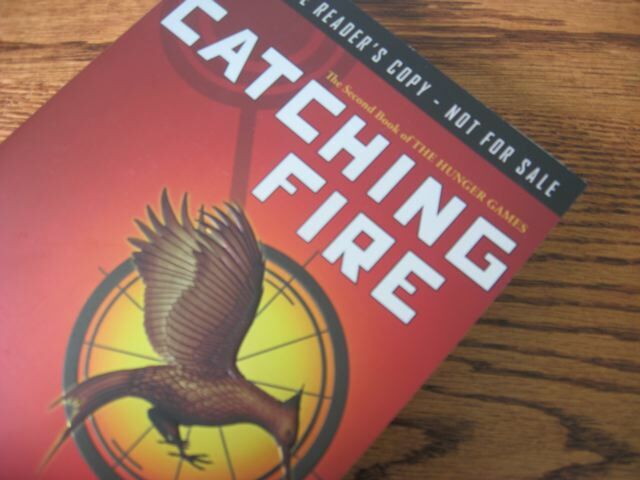 In fact, I was surprised at how a book rather episodic in its structure held me completely captivated throughout. Each chapter is like a short story, zeroing in on a small moment in this one year in the Tate family, drawing out the events so perfectly that even the smallest thing turns out to be full of drama and meaning. As for audience, I’m in agreement that I don’t think it will be a book that will work for every child reader, but then, what book does? The extensive descriptions and sometimes elevated language might turn off some readers used to more plot-driven, action-packed narratives, but then these qualities will likely be exactly what makes the book appealing to others. I’ve seen the book labeled as Middle Grade, and Young Adult, and I think that it could work for readers in both groups. I don’t think it’s an exaggeration to say that towards the end of the novel you will truly yearn for Calpurnia to be able to have the opportunity to pursue her dreams of scientific study and inquiry. Kelly conveys brilliantly how intensely her character feels the injustice of being limited in her future simply because she is female. 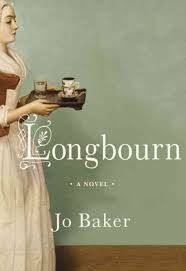 I’ve read a lot of books set in this period about young women characters who wish for more than the typical future of marriage and motherhood, but they are not always as convincing in portraying the frustration and sense of hopelessness of the protagonist. I sincerely hope that Calpurnia takes her place among the most memorable girl characters in children’s literature. She belongs there. And the ending. It is one of the most understated yet emotionally powerful endings I’ve read in a while. Just perfectly done. Read Hip Writer Mama’s excellent recent Winter Blog Blast Tour interview with Jacqueline Kelly here. The Evolution of Calpurnia Tate is published by Henry Holt. 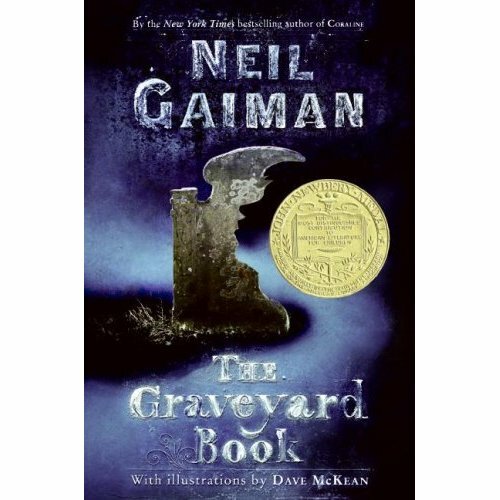 This entry was posted in Crossover Books, Middle Grade, Teen/YA on December 24, 2009 by shelfelf. 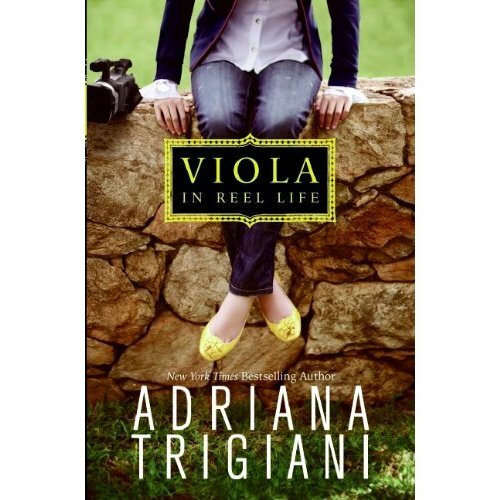 Adriana Trigiani makes her YA debut with Viola, and her first effort makes me curious to read her next YA offering. In film-review lingo, Viola in Reel Life is a “crowd-pleaser.” This might be one reason why it won a place on Indiebound’s Autumn ’09 Next List. I can’t imagine many readers will finish this book without grins on their faces. Viola Chesterton is “marooned” for a year in South Bend, Indiana, at the Prefect Academy for Young Women, since her documentary-making parents are heading to Afghanistan to work on their latest film. Her mother thought it would be perfect for Viola to go to the same school she had attended for a year when she was a girl. In Viola’s opinion, South Bend might as well be as far away from Brooklyn, NY as Afghanistan. A true city girl, Viola isn’t sure how she’s going to survive in the Midwest without her best friend Andrew and the crazy non-stop whirlwind of her hometown. She’s pretty sure that the only way she will get through it is by focusing on her film-making. She doesn’t start off her grade nine year with an open mind, but somehow she finishes it with three great friends, her first real romance, and a lot more experience making movies that she had expected. Trigiani’s style makes for breezy reading. I sped through this book the way I would read a Maeve Binchy novel (yes, I do read a little Maeve Binchy sometimes, usually in a single day on the couch with a box of chocolates nearby). The characters are just fleshed out enough, and the private school setting comes through well. The four roommates reminded me of the girls from the Traveling Pants series, each one a little bit different in appearance and interests, bringing out the best in each other and forming a perfectly cohesive and quirky friendship circle. There’s nothing tortured about Viola, which I liked a great deal. Her growth away from perfectionism and the need to always be in control, towards being open to new experiences, rings true. I am imagining that the subsequent books in this series could easily be written from the perspectives of the other friends. I wouldn’t be surprised if that’s the direction Trigiani is headed. Just to note, this is an especially “clean” teen book, which is pretty refreshing when there’s just so much boy-lusting going on in so many YA titles out there. Not that I’m in the business of promoting clean reads, but for a change, I appreciated the emphasis on Viola’s inner growth, and it was a bit different to have the focus be on this character’s future professional and artistic goals rather than on her landing the perfect guy. This is a just-right, happy read about good friends, surprising yourself, and taking change with an open mind. Not earth-shattering, but certainly satisfying. Viola in Reel Life is published by Harper Teen. This entry was posted in Teen/YA on December 21, 2009 by shelfelf. James Dashner’s The Maze Runner is about as action-packed as a book can be. If you are at all inclined to start reading a book at bedtime and then just keep on reading because it is way too exciting to stop, then make sure you don’t have to set your alarm when you settle into bed with this book. It has “all-nighter” written all over it (also because it’s seriously freaky. You won’t be doing any sleeping after you meet Dashner’s “Grievers.” Trust me). 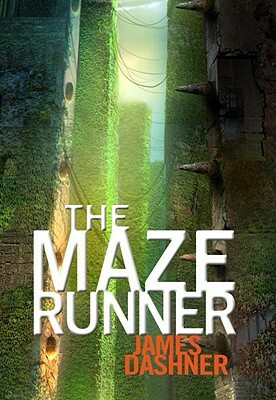 The Maze Runner is the first book in a trilogy, with book two, The Scorch Trials to be released in fall 2010. Maze Runner begins when a boy wakes up in a lift, with his memory almost entirely gone. All he knows is his name. This boy, Thomas, can’t remember anything of his former life beyond the vaguest traces that seem to hover at the very edge of his consciousness. His new home is a vast open area enclosed by high stone walls, called the Glade, where other boys like him have found themselves likewise stranded with no answers about their past lives or present situation. Every thirty days another boy is brought to the Glade in the lift, deposited there like all the others before him. Beyond the stone walls of the Glade is a maze. During the day, the stone walls open up for the boys to access the maze. At night, the walls seal up again which is just as well, because fearsome creatures called Grievers crawl through the maze at night, hunting anyone who remains inside. The Gladers believe that solving the maze is the only way they will be able to find their way home again so they assign some boys to become Maze Runners. These boys run the Maze everyday trying to map its shifting patterns. When Thomas arrives, everything starts to change. Escape and survival seem more distant than ever. This entry was posted in Teen/YA on December 18, 2009 by shelfelf.